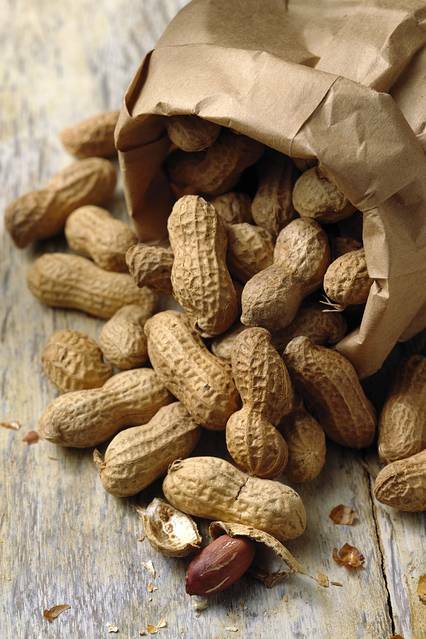 The U.S. has paid for a million pounds of peanuts it can’t use. Solution: Dump them on Haiti—causing a disaster for its farmers. In 1984, 10 people were killed in Haiti when government troops fired on crowds rioting to protest corruption in the U.S. food donation program. The Agriculture Department claims that the peanuts won’t hurt Haitian farmers because they will be packaged in one-ounce bags that “are to be consumed at school only,” as a government press secretary told NPR. Will the U.S. post guards at school doors to prevent “leakage” (the spokesperson’s term) into Haitian markets? After all, Haiti is one of the most corrupt nations on earth and foreign aid is routinely pilfered. Some activists also fear that this million pounds of peanuts will prove to be only the first shipment. The real culprit here are federal peanut programs with an almost 80-year record as one of Washington’s most flagrant boondoggles. 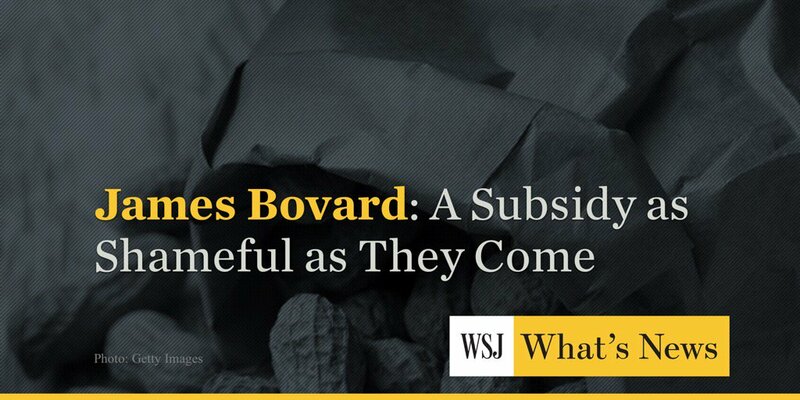 Subsidies have encouraged farmers to overproduce and then dump surplus peanuts on the USDA, which winds up stuck with hundreds of millions of pounds. That food has to go somewhere, and the department sees Haiti as the ticket. Food-aid policies have long been driven not by altruism, but by bureaucratic desperation to dispose of the evidence of failed farm policies. When the U.S. peanut program was launched in the 1930s, the federal government gave favored farmers licenses to grow the legumes and outlawed anyone else from planting them. Investors wound up purchasing many of the licenses and renting them back to growers. Congress ended the peanut licensing scheme in 2002 with a $4 billion buyout that provided a windfall to license-holders. Lawmakers should have admitted then that there was no more justification for subsidizing peanuts than for propping up cashews or pecans, two crops that have thrived without handouts. Instead, Congress created a new peanut program and effectively permitted a grower to collect twice as much in federal subsidies as other farmers ($125,000 for peanuts and another $125,000 for other crops). The 2014 farm bill guaranteed peanut farmers high prices, which is why they boosted production by more than 20% last year, even as the value per pound has plunged. The cost of peanut subsidies is predicted to rise 10-fold between 2015 and next year, reaching $870 million—which approaches the total farm value of the whole U.S. peanut crop itself. The USDA expects to spend up to $50 million a year to store and handle surplus peanuts, and industry experts are warning that federally-licensed warehouses might not have enough space to hold the next crop. The Haiti hubbub is simply the latest episode in a long history of peanut insanity in Washington. 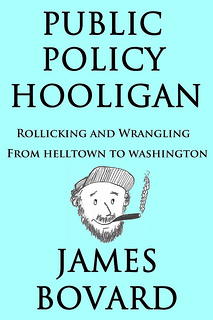 As long as congressmen can reap votes and campaign contributions from wrecking markets here and abroad, American goober policy will continue to be totally nuts. Mr. Bovard is the author of “Attention Deficit Democracy” ( Palgrave Macmillan, 2006). Thanks for posting the link to that video! Jim – thanks for the insight! We’ve been working with Haitian coffee & cacao farmers for years. We’ve witnessed the impact of short-term solutions; in short, they wreak havoc on Haiti. If there is genuine surplice brought about by superior crop technology and mother nature, by all means, donate food to those in need but don’t just dump; thoughtful support should be required to help third world farmers to develop robust agribusinesses of their own. Helping Haitians to make their own peanut butter is a start. For our part, we’re transforming farmer cacao crops into chocolate bars. Some day we’ll source peanuts and moringa from Haiti to put into those bars! I’m linking to your article from my new blog. Molly – thanks for your comment & thanks for the link. Good luck!